The Glendale Agricultural Society’s Children’s Countryside Day has just announced the appointment of John Renner as Chair of their committee. John has been involved and on the committee for the Children’s Countryside Day since its inception 10 years ago. During its lifetime The Glendale Children’s Countryside Day, held near Wooler, has educated over 15,000 children from dozens of schools across the region. Each year the children are given a day long lesson in the countryside where they re-engage with the origins of their food and learn about the importance of farming and the countryside in their everyday lives. 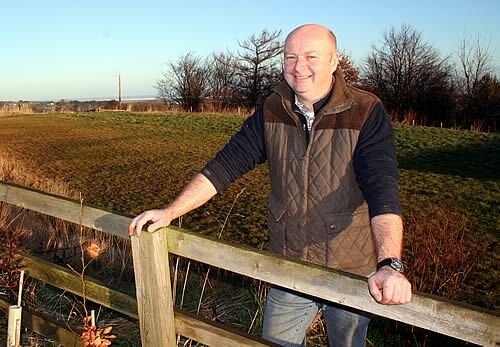 John has a lifetime’s knowledge of farming and farms with his wife at Bellshill near Belford, a 237 acre traditional mixed farm. In addition to the traditional farming John is a member of Linking Environment and Farming (LEAF), and through LEAF they regularly host school group visits educating school children on the origins of food rural issues. “This is a hugely successful event, and as they say: ‘if it is not broken there is no need to fix it’ so, my aim is to build on its success. I would like to encourage more inner city schools to attend and for the children not just to learn about the countryside, but for farmers and rural businesses to showcase the diverse range of careers that are available. The unique day attracts over 60 local businesses and community led organisations to showcase their skills and crafts to educate children, they range from beekeeping, arable farming, and red squirrel preservation through to butchery, game keeping and flood management techniques. Further information about Glendale Agricultural Society and the Children’s Countryside Day can be found on www.glendaleshow.com. Anyone interested in supporting the Children’s Countryside Day can contact Ruth Oldfield on 01668 283868.